The cottage was cosy, romantic and in an excellent location. My partner and I loved having dinner at the outside table, looking out over the river. The place was a home from home , everything you need for a few nights away. Clean and very comfortable with a lovely outlook. Very comfy bed and warm. Can’t wait to stay again! Loved the property, it was excellent for our needs. The bedroom is nice and cosy, and the whole place was very clean and tidy. Also, the location on the edge of the river is amazing. The setting on the river bank was superb. 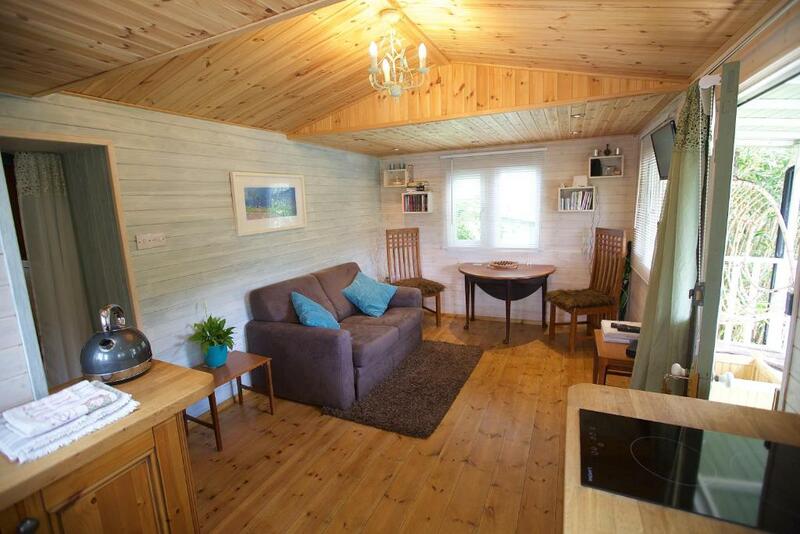 The property is ideally situated for travelling around the west of Cornwall. Host was lovely and very accommodating. Very clean, cottage clearly very well looked after. Nice little touches like biscuits and so on upon arrival. A stay i will definitely remember! Wow, this little gem of a place was perfect for a relaxing time away. A compact little place but with all the essentials needed, tucked away and private, with the perfect view of the river and wildlife, literally outside our door. Very clean, comfortable and well kept. A lovely welcome by Bridget, nothing being too much trouble, supplying milk and posh biscuits. A great petrol garage with an extensive shop for all needs, literally a few minutes walk away, and a lovely thatched roof pub serving great food just a bit further up the road. Only about 3 miles outside Truro town too. Can't wait to visit again! Lock in a great price for Hideaway Holiday Cottages – rated 9.6 by recent guests! 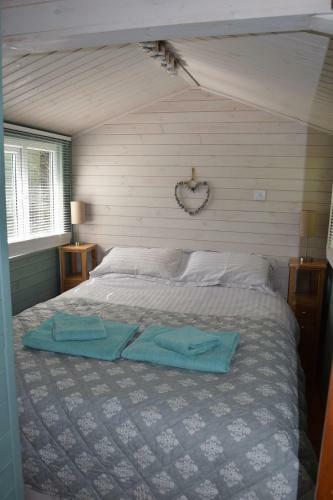 Located in 3 mi from Truro, Cornwall, the chalets features a seasonal pool and barbecue facilities. Free WiFi and free private parking is available. The chalets feature a flat-screen TV with satellite channels, as well as a DVD player and a selection of DVDs. There is also a radio/CD player with a Bluetooth connection. The kitchenette has an oven/microwave, a stovetop, a fridge, a kettle and a toaster. Bed linen and towels are provided. The Roseland Heritage Coast is 8 mi from the property. The nearest airport is Newquay Cornwall Airport, 15 mi away. This property is also rated for the best value in Truro! Guests are getting more for their money when compared to other properties in this city. When would you like to stay at Hideaway Holiday Cottages? This chalet has a kitchenware, CD player and private entrance. This chalet has a stovetop, dining area and seating area. There are two wooden Chalets on our site. One is a studio right beside the river, with inside and outside heated seating to enjoy views across the river. The other has a separate bedroom and is set back from the river by the pool, with views across the garden to the river. 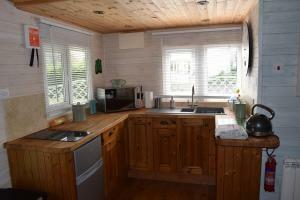 Both chalets have fully equipped small kitchens. A private outside space, parking for one car and full WiFi. We have a slipway and pontoon if you wish to bring a kayak or paddle board, although you would need to work with the tide as it isn't in all day! We aim to give you a space where you can feel at home, we respect your privacy but are available if you need any help. 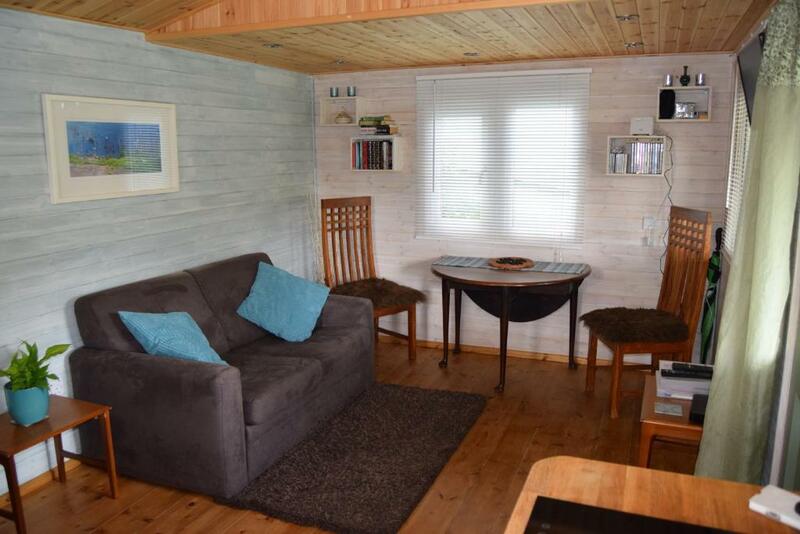 The chalets are suitable to holiday or work from, with many people enjoying the space when working in and around the Truro area. We are onsite and will be happy to welcome you when you arrive and are about if you need anything. However the Chalet has it's own private area and once we show you where everything is we will leave you in peace to enjoy your holiday. We like the chalets to be the best they can for you and enjoy any helpful comments of the things we are doing right and also how we can improve anything to make your stay better would very much be appreciated. We are off the main road in Tresillian right next to the Texaco garage and shop so convenient for necessities, but once you come into the driveway you feel completely in your own quiet space with the river which is tree lined on the opposite side and all of the wildlife from swans to deer. If you would like to eat out we have a village pub within walking distance and Truro is only three miles away, Cornwall's only City. Here you will find all the normal high-street shops plus some independent retailers. There are plenty of bars, restaurants and cafes, as well as the Hall for Cornwall theatre and a cinema to provide ample entertainment and enjoyment. Waitrose is half a mile up the road towards Truro so you can easily get some tasty treats. 200 yards from the chalet is a bus stop allowing travel by public transport. This is a main and regular route to Truro and St. Austell and surrounding areas. Many guests get around Cornwall using this option. House Rules Hideaway Holiday Cottages takes special requests – add in the next step! Please note that the entrance to the property is located immediately after the Texaco Garage. Please note, the swimming pool at this property is seasonal and subject to weather conditions. For more information, please contact the property in advance. Please inform Hideaway Holiday Cottages of your expected arrival time in advance. You can use the Special Requests box when booking, or contact the property directly using the contact details in your confirmation. Bit close to a busy main road but the chalet was fairly well sheltered from it so minimal noise from the road but did wake my partner up in early morning. Only thing to bear in mind is that the space is a little small so if you bring a lot of things with you you might be tripping over yourself slightly, though we didn't have this issue. Warm welcome despite very late arrival. Good instructions before arrival. Everything explained. Excellent hosts. Absolutely loved it. A gorgeous little hideaway. Absolutely perfect. Had a lovely atmosphere and everything I needed. Beautiful to wake up and watch the river running by. Warm and comfortable with fluffy fresh towels, a great shower, comfortable bed and really appreciated the milk and biscuits which enabled a very much appreciated cuppa and sugar fix after a really long and tiring day as soon as I arrived. Will definitely be staying again when I'm back in the area. Thank you. 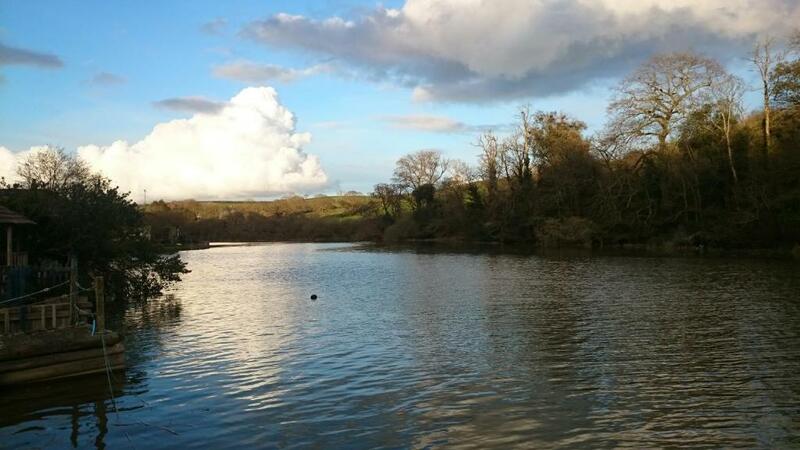 A wonderful outlook onto the river and the wildlife. Easy to get to for our purposes and good parking.